On September 24th, U.S. President Barack Obama will preside over a U.N. Security Council session on nuclear nonproliferation and disarmament. In March 2010, Moscow will host a Global Nuclear Summit that the U.S. has agreed to attend. The next six months could prove hopeful or harmful—depending on the impact on Israel’s nuclear arsenal. With U.S. backing, Tel Aviv has thus far avoided compliance with the Nuclear Non-Proliferation Treaty—joining North Korea, India and Pakistan. President John F. Kennedy tried to stop Israel from starting a nuclear arms race in the Middle East. 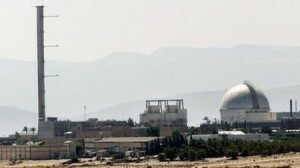 In a June 1963 letter to Prime Minister David Ben-Gurion, he insisted on proof “beyond a reasonable doubt” that Israel was not developing nuclear weapons at its Dimona reactor facility. Though his letter was cabled to the U.S. embassy, Ben-Gurion resigned (citing undisclosed personal reasons) before the message could be physically delivered. With Israel’s nuclear ambitions under attack by its key ally, that strategically well-timed resignation duped an inexperienced young president and denied him a diplomatic victory that might well have precluded the wars now being waged in the Middle East. With Ben-Gurion’s resignation, JFK was left without an Israeli government with which he could negotiate. By the time a new government was formed, the Kennedy threat had been eliminated and Tel Aviv could start haggling from scratch with successor Lyndon Johnson who was far more sympathetic to the goals of the Zionist state. That strategy resurfaced in the recent resignation of Prime Minister Ehud Olmert just as the Road Map gained traction and the threat of peace loomed on the horizon. Olmert’s successor, Benjamin Netanyahu, then used the terms of the Road Map as a bargaining chip to start haggling—with an inexperienced young president—over sanctions against Iran. Democrat Lyndon Johnson proved himself a reliably pliant pro-Israeli president as did his successor, Republican Richard Nixon. Described by Prime Minister Golda Meir as “the best friend Israel ever had,” Nixon agreed in 1969 to endorse “constructive ambiguity” as a means for Tel Aviv to obscure its nuclear arsenal. Meanwhile Colonial Zionists brandished the threat of that arsenal to seize land they sought for Greater Israel. Israeli incursions provoked the reactions one would expect, enabling Tel Aviv to portray itself as a hapless victim in need of U.S. support in a hostile and anti-Semitic neighborhood. Four years after Kennedy wrote to Ben-Gurion, Israel mounted a massive six-day assault on neighboring nations, occupying lands that remain at the heart of the hostilities against which Tel Aviv insists it needs nuclear weapons to defend itself. With the war in Iraq poised to expand to Iran, the next six months offer a rare opportunity to revisit not only Israel’s nuclear arsenal but also—in light of the consistency of its behavior over six decades—the legitimacy of the Zionist enterprise. In 1962, Senator William Fulbright of Arkansas, chairman of the Foreign Relations Committee, convened hearings to ensure that the American Zionist Council—funded by the Jewish Agency—register as the agent of a foreign government. JFK was then president and brother Robert his attorney general. Edward (”Ted”) Kennedy was elected to the Senate that year to fill his brother Jack’s seat. In October 1963, the Department of Justice—led by Robert Kennedy—demanded that the Council register as a foreign agent. Following the Kennedy assassination in November 1963, Nicholas Katzenbach succeeded RFK as Attorney General for Lyndon Johnson. To avoid registration, the Zionist Council morphed into the American Israel Public Affairs Committee (AIPAC). That umbrella organization—still disguised as a domestic lobby—continues to coordinate the efforts of dozens of organizations that sustain a U.S. policy environment favorable to a foreign nation. The Kennedy brothers shared a little-known insight into the confidence with which Israel wields political influence across party lines. In the closing weeks of his 1960 presidential campaign, candidate Kennedy traveled to New York to seek financial support from Jewish business leaders. On his return to Washington, he called his old friend Charlie Bartlett who had introduced Jack to Jackie. According to Bartlett, Kennedy was livid after those he met in Manhattan assured him that the funds he sought were available but only if he turned over to them the formulation of U.S. policy in the Middle East. With brother “Bobby” his chief campaign strategist, that experience doubtless came to mind when, in 1963, JFK confirmed that Israel—while portraying itself a U.S. ally—repeatedly lied to him about its development of nuclear weapons. At the height an unpopular war in Vietnam, Robert Kennedy emerged to challenge the policies of the Texan who replaced his brother as president in 1963. No one knows for sure that, as president, RFK would have followed JFK’s stance on the Zionist state’s nuclear arsenal. Nor do we know for certain that he would have renewed his insistence that the Israel lobby register as the agent of a foreign government. When a second Kennedy threat was eliminated with an assassination in June 1968, Tel Aviv welcomed to the White House Richard Nixon who supported Israel’s strategically essential “ambiguous” policy on nuclear arms. Nixon Attorney General John Mitchell was a partner in the same New York law firm (Mudge, Rose, Guthrie & Alexander) that Nixon joined in 1963 after his failed bids as president, losing to JFK in 1960, and as governor of California two years later. In honor of Nixon’s arrival, the dominantly Jewish firm was renamed Nixon, Mudge, Rose, Guthrie & Alexander. In 1973, five years after RFK’s death, Senator Fulbright could announce with confidence that “Israel controls the U.S. Senate.” By 1974, he was replaced in the Senate. Journalist Helen Thomas was then covering Nixon, one of ten presidents in her lengthy career as White House correspondent. In Obama’s first press conference, she sought to clarify the ambiguity about just who posed a nuclear threat in the region. Her question for this latest Commander in Chief: which nation in the Middle East has nuclear weapons? In response, Chicagoan Barack Obama did the “Tel Aviv Two-Step.” Rather than answer the question, he spoke about the need for nuclear nonproliferation and disarmament. Not since then has Thomas been allowed to ask another question. Instead she was subjected to a withering barrage of personal attacks by pro-Zionist broadcasters who sought to make it appear that she—not the answer to her question—is the problem.